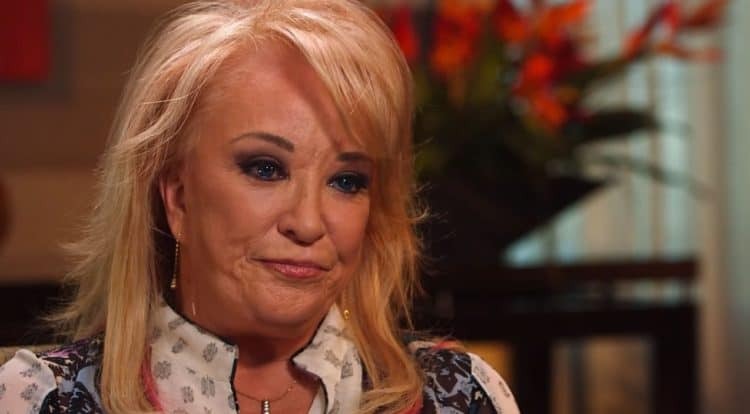 From all accounts it sounds as though Tanya Tucker’s career didn’t so much skyrocket when she was younger as it did kind of meander around until she proved that she could do something special. She did have her first hit at 13 but one great thing about Tanya is that from her earliest beginnings to where she is now she’s never lost her fan base. Throughout all the years people have still been listening to her music and enjoying what she can do. Although she did run into some trouble in the 80s when it came to drinking and the decline of her popularity she managed to make a comeback eventually and gained back a lot of respect from the people that had stopped listening as well as new fans that had come to discover how great her music could be. Since then she’s been a common name to hear about when it comes to country. Her are five of her best songs. At one point it sounds as though she was doing at least two shows a night and there wasn’t much to come back to when she was done. Being in Las Vegas for some of her shows Tanya got a chance to show her outlaw side as she spent a lot of time drinking and showing just how tough she was. She’s one of the outlaws of country that has made a reputation for showing just how wild she could be throughout her career, but it did eventually catch up to her. Just from her performance you can see that she’s kind of a free spirit, maybe a bit wild, and no doubt hard if not impossible to tame unless it comes on her own terms. Like many other country singers however she’s able to go soft and quiet for her songs as well when it’s called for. What’s impressive is that there is such a wide range of tone in many country songs and many singers can cover a great deal of that range when called upon to do so. Think about it, some musicians can’t do much more than the act that people come to know them by. Those that are truly gifted are those that manage to cover a wide range of tones and pitches throughout their songs. Tanya is among those that has managed to change up her songs enough to really wow the audience and keep them guessing. You could easily call Tanya ‘old country’ since she has that quality in her music and is able to really hang with the old school sound that a lot of us attribute to country music. The stories that are told through the lyrics are something that might seem kind of depressing since a lot of them seem to focus on problems that occur in people’s lives that don’t seem to be so easily solved. Life is still like this in many ways, but the idea of chasing after a woman in this manner any longer doesn’t seem to be a big thing with people any longer. When the love is gone it’s usually a series of texts and phone calls that are used to hound people until they come back, or get a restraining order. The story aspect of these songs is something great since the visuals that are devised tend to be something pretty great and are like a mini-movie that entertains the viewer for at least a few minutes. Of course if you really look at it some of these stories say just as much in a few minutes as some movies do in a couple of hours. A lot of this has to do with the visuals that are used and the lyrics to the song that grant even more imagery to the viewer that isn’t seen. This particular story is one that a lot of people have gone through, making it easy to relate to. That’s why Tanya and so many others are so popular, they know how to tell a story with only minimal time. This is the song that helped her career to take off when she was younger, and to think that she’d seen Bette Midler sing it first before going out to do her own version of it is kind of interesting. Tanya has been one of the best country singers of her time and despite the minor setbacks in her career she’s been one of those that hasn’t really suffered from the bad press or her own decisions thanks to the fact that she made it good before things went south for a little bit. At this point however there’s not a lot that can tarnish her legend any longer. When you’ve got it you know how to keep it.